Many faculty and instructional designers find research intimidating. Here we provide some information regarding common concerns and questions, including the Institutional Review Board (IRB), FERPA regulations, and possible sources of data to utilize in your evaluation. We also discuss possible sources of data and where you can find research experts on your campus with whom to collaborate. Faculty and staff who regularly conduct human subjects’ research can help you with research design, data collection, and analysis. The Family Educational Rights and Privacy Act (FERPA) (20 U.S.C. § 1232g; 34 CFR Part 99), also known as the Buckley Amendment, is a U.S. Federal law that protects the privacy of student education records. All educational institutions that receive funds under an applicable program of the U.S. Department of Education fall under the umbrella of FERPA law. FERPA dictates what data are confidential and allows students certain rights with respect to their educational records. These regulations apply to all applications involving student records, including items such as research, posting student work, etc. For more information on FERPA, visit the U.S. Department of Education FERPA guidelines site which contains information for students, parents, and school officials regarding their rights. Your individual campus website should also have information on FERPA. Many also require training regarding FERPA and the use of student data for those who may handle student records. The Institutional Review Board (IRB) is responsible for protecting the rights and welfare of participants involved with research. Each university should have an IRB committee or contact that reviews research proposals to ensure that human rights are maintained by those conducting research. 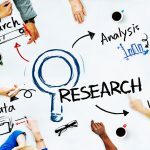 Anyone conducting research involving human subjects must have their proposal reviewed and approved by their campus IRB prior to beginning the research project. Your campus should have a formal application process that allows for submission of a research protocol describing the project in detail, including any benefits or risks to participants. Survey instruments and consent documents are also provided to the committee for review. The IRB personnel will help you ensure that your research is ethical and that it poses minimal risk to those who participate. Many schools require researchers to complete a research education and ethics course before and IRB protocol can be submitted. The Collaborative Institute Training Initiative is a leading subscription service. CITI certification lasts 3 years at which time the researcher must complete a refresher course. New researchers must allow time to complete these modules prior to submitting a study for IRB approval. To learn more about IRB, visit the Office for Human Research Protections (OHRP), a division of the U.S. Department of Health & Human Services, or search your campus website for its IRB rules and regulations. Faculty and experienced researches on campus may also be able to help with research. There may be researchers in your department or experts in statistics, psychology, sociology, or educational research on campus. These faculty may be experienced in conducting pedagogical research or the scholarship of teaching and learning and are often eager to collaborate or discuss research with others. Many faculty have their research areas of expertise or interest posted on their campus websites. Collaboration can also help to strengthen and expand the number of participants and the generalizability of the research that you conduct.